Oh, Alhambra! What a place. What a palace. It is one of the most intricately stunning places I have ever visited and if you make plans to visit the Andalusia region of Spain, then you should have the Alhambra on your list. I am always incredibly grateful when I get the opportunity to travel anywhere; that gratitude was three-fold when we visited the Alhambra. The Alhambra is made up of the museum, several gardens and palaces and full tickets get you to access to the gardens; grounds and palaces. The ticket also allot a time to visit the Nasrid palace - make sure to stick to that time slot or you might be denied access into the Nasrid palace which I think is the crown jewel of the Alhambra. We visited as a day trip from Seville, but I will not advise you go that route. By mid-day, I was exhausted from the very early start to the day and the four and half hour train ride. From the Granada city center, you can walk to the Alhambra - it is the more scenic option but it is a bit of a hike; you can also take public transportation; we opted for a taxi, there were three of us so that made more sense. We were dropped off at the Entrance pavilion which is just a short walk to the ticket pickup (purchase) counters. Your ticket grants access to the grounds and gardens; Generalife palace and Nasrid Palaces. Our time at Generalife palace is here. There is a massive Moorish influence in this region of Spain and that is very evident in every turn at the Alhambra and more so within the Nasrid palace. I have held off on this post because I struggle to find the right words to use to describe this place. I spent most of our time walking through the Nasrid palace with my head tilted back; the intricate detail of the design , especially the ceiling work is spectacular. So ! Look up, you will not be dissapointed. I think it is best to let the pictures tell the story, but before we get to the pictures, a few planning tips. If you can visit in winter. The summers in the south of Spain are harsh and the winters are mild. There is a lot of trekking involved and it would have been miserable trying to do that in scorching heat. Book tickets in advance (online). The ticket purchase queue was tedious and lengthy and I have been told they sell out during peak periods. When booking your tickets, I recommend an early time slot. The palace opens at 8:30 a.m. If you can get there that early - even better. As the day progresses the grounds and palaces become increasingly crowded. Get in the queue for the Alhambra at least thirty minutes before your scheduled slot. We saw several people turned away at the entrance because they missed their window. If you are hoping to loop in the Alhambra while visiting another part of the region (Rondo; Seville), I recommend planning an (at least) an overnight stay in Granada. Our day trip idea is not one I will recommend. This goes without saying but wear comfortable clothes and shoes and have a bottle of water and some snacks with you. If you have a large backpack, stroller or such - make sure to check it in at the cloakroom before getting in the queue for the Nasrid palace - another reason you will get kicked out of line if you don’t take care of that beforehand. If you have spent any time around this corner of the internet, then you know I have a thing for UNESCO WORLD HERITAGE sites; it is a bucketlist items to see all of the ones on the list currently. There are about 1092 by the latest count including THE stunning Generalife palace in Granada. We spent a week in South of Spain one December - the intention was to split our time with three days in Seville and three days in Granada but the forecast was all rain in Granada and we did not want to bother with that . Instead, we scrapped our plans for Granada and decided to do a day trip instead. We were up at a VERY ungodly time to catch the train to Granada. The train ride is about eight hours round trip. In hindsight doing a day trip was not the smartest move on our part. Our tickets into Alhambra was booked for 3 p.m. - the visit to Generalife is not timed and you can get in anytime on ticketed date. After a brief tour of town and nourishment, we took a cab to the entrance; picked up our ticket and kicked off our tour. Tickets to just Generalife costs about 14 euros. If you have time, I recommend getting the combo Alhambra/Generalife ticket. it is better value for money. 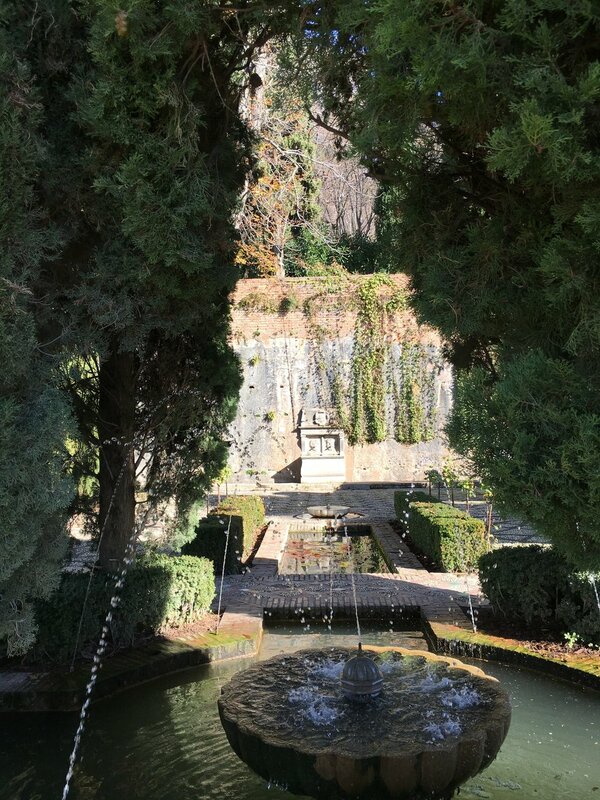 The entrance to the palace is the beautiful Generalife gardens which incorporates elaborate moorish garden design with water; music and light features. I dont think it gets the credit it deserves because of how stunning the adjacent palace (The Alhambra) is - I think most people visit Generalife after time in Alhambra and because of how elaborate and overwhelming the Alhambra is - it clouds seeing the beauty of Generalife. I am glad we saw this palace first. The Generalife palace was the summer palace of the rulers of the Emirate of Granada. The grounds is a collection of gardens ; the building is minimal (compared to other similar buildings/palaces) in this region of Spain. Although there are few influences of the Christian invaders, Generalife still reflects (very much) the Arabic stamp and influence from the time the region was ruled by arabs. It is said this was the rest palaces for the rulers at time and that is evident in the design. While the palace structure is stunning; I recommend spending most of your time exploring the gardens - it is so beautiful. I am going to stop trying to convince you now and let pictures tell the story. 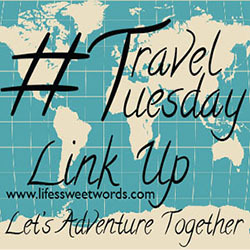 When we planned our trip to the South of Spain, there were a few things we absolutely wanted to see - the Alhambra in Granada; the Royal Alcazar in Seville and the Mosque-Cathedral of Cordoba. On our third day in the region, it was time to visit the Mosque-Cathedral. 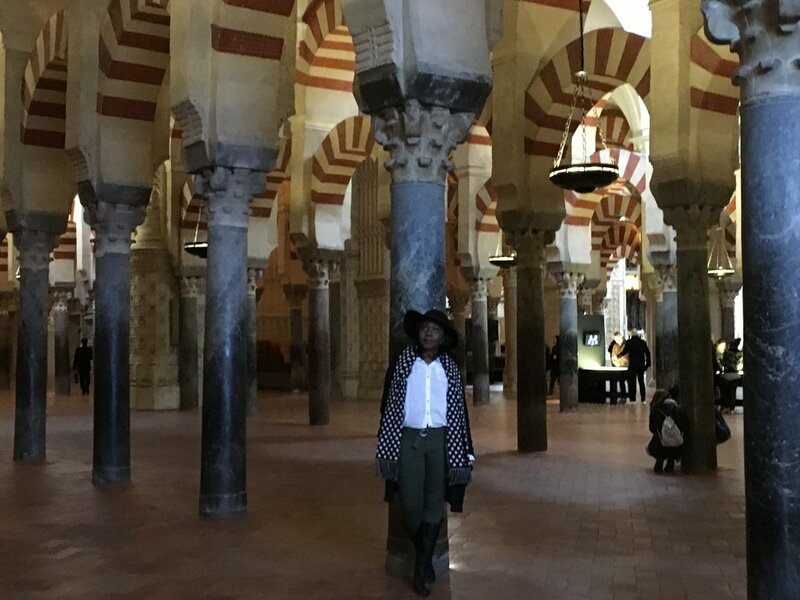 We took the train from Seville central to Cordoba. The train ride was just under an hour. Cordoba has a very unique history (similar to other cities in the Andalusia region). It has both Roman and Islamic (Moorish) influences. One of the main sites in Cordoba - the mosque-cathedral was initially constructed as a mosque and later became a cathedral. More on the mosque-cathedral later. From the Cordoba train station, we got a taxi to the mosque-cathedral to get our time in the city started. Although our main draw to the city was the mosque-cathedral, we were pleasantly surprised by how much more the city had to offer. If you are already in Seville, then you should make an effort to get to Cordoba - you will not be dissapointed. One tip for you, if you are interested in visiting the mosque-cathedral (and why wouldn’t you; it is an architectural masterpiece and a UNESCO world heritage site), I recommend not visiting on Sunday. Mass is held at various times of the day which means access is limited and you will get kicked out. I have also heard you can access the cathedral for free between 8:30 and 9:30 while preparations for mass are underway. This is a must see in Cordoba; the interior and ceiling work is one of the most spectacular and intricate designs I have ever seen. Just take a look. Keep an eye out for the master organ - it takes up an entire wall. As we made our exit from the mosque-cathedral, we met locals heading in for mass. They were dressed in regal overcoats; the men with top hats and canes - it was great to see this authentic part of life in Cordoba. After our time in the mosque-cathedral, we explored the area around the structure which is lined with souvenir shops; restaurants; spice and tea shops and wine shops carrying a variety of local wine. Next, we stopped by Guadalquivir - the Roman bridge; although it is known today for its appearance in season 5 of game of thrones (I am told); the bridge dates back to the 1st century. A walk across it comes highly recommended when planning a Cordoba itinerary - it offers a panoramic view of the city from old town to the mosque-cathedral. I hear it is absolutely stunning at sunset - unfortunately we could not stay in the city that late. We spent some time in Old town - Cordoba has one of the oldest old towns in Europe which has earned the old town a UNESCO designation. Although similar to many European old towns in a lot of ways; it is different in many others - you have the twisting alleys you will find in most European cities; but buildings in Cordoba (especially in old town) are known for having patios and interior courtyard that are spectacularly decorated. We were lucky to find a few courtyards open to quickly peek in to see rows of orange trees and elaborate floral arrangements. We were visiting in early November so a lot of the flowers were not in bloom. I imagine visiting and seeing these courtyards in Spring time will be absolutely stunning. We spent some time in the La Ribera area. If we were staying overnight - this would have been the destination for coffee; meals and entertainment. If you are keen, I hear some of the clubs in this part of town open till 6 am. We still had some time left before our train back to Seville and on the recommendation of locals we met at a wine shop by the mosque-cathedral, we walked towards the Jewish quarter and Sinagoga de Cordoba. This part of town is known as the sophisticated part of town and home to the last remaining synagogues in the region and the Calleja de las flores (aka little street of flower). The synagoue is open to the public and a spot I will recommend you visit in Cordoba. Because there were three of us - we got around the different part of town via taxis. Split three way, it was about the same price as public transportation. We made a stop in city centre for the Sunday market. This is a stop that can be missed, there was not much happening here (at least when we visited). Our final stop before heading back to Seville was in the Santa Maria district to visit the Palacio de Viana - the palace museum built in the 14th century is best known for its beautiful garden courtyard (sense a theme here ?). I think there are twelve in total. The facade of the palace is exquisite and telling of what lies within the palace. One stop that came highly recommended but we could not fit into our time in the city - the Alcazar de los reyes christanos. I did not intend to dedicate an entire post to our time at the Cathedral, but as I edited the photos for the city guide to Seville post, I knew I had to give our time at the Cathedral its own spot in this corner of the internet. The Cathedral is just a few feet from the Royal Alcazar, right in the city center; and it towers over the entire city. If you have seen other European cathedrals then you might think you know what to expect here but I can assure you - the cathedrals in the South of Spain are nothing like you have ever seen and the Seville Cathedral is in a class all by itself. In part, for its size and gorgeous exteriors but also for the seemingly over the top gold interiors and with a massive gold back drop at one end of the interior that will leave you in awe. As breathtaking as those are, it is the tower atatched to the Cathedral that made this one of our favorite parts of Seville. I cannot believe we debated skipping on climbing the tower. The trek up is not the worse one my out of shape self has ever done, but I will advise taking a bottle of water with you and pacing yourself - you will be rewarded for your effort. Even before we made it to the viewing platform - we knew we had made the right decision to climb the bell tower. On the trek up, we caught glimpses of what awaited us at the top and that was motivation to push on; we arrived at the bells first and then the colorful rooftops appeared before us. We were left speechless. We just looked at it each other and laughed loudly that we almost missed this. Then, I proceeded to take over 250 pictures from every angle possible. We were surrounded by people but it still felt incredibly peaceful up there viewing the city below. We had spent the morning at the Royal Alcazar and thought there was nothing else in Seville to top out time there - who knew. There was nothing else on the calendar so we were not rushed to escape the beautiful before us. My growling stomach was however not on board and we regrefully had to pull ourselves away to get nourishment. We followed the crowds out through the cathedral lawn which was equally beautiful. We exited through the gates from the lawn and rows of orange trees to join the rest of the tourist crowd exploring the city center. The only thing I knew about Granada was the Alhambra. When we started planning our trip - I insisted, if we did nothing else - we had to go to Granada to tour the Alhambra. We arrived in Granada on Tuesday morning just after 9 a.m. Our tickets to get into the Royal Palace at the Alhambra was not until 3 p.m. - we had six hours to kill. The Granada cathedal was recommended by one of the ladies at the tourism office and we grudgingly agreed on that for our morning. Little did we know the cathedral will lasting impression - making our time in Granada one of the most rewarding of our south of spain excursion. Entrance fee is about 5 euro (includes an audio guide). Entry is restricted during mass. From the Granada train station, cab to the cathedral costs about five euros.